Color War brings kids together! 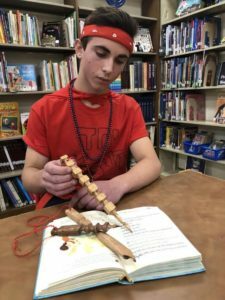 They say that the quintessentially American tradition known as “Color War” began in 1916 at Schroon Lake Camp, a Jewish boys’ camp in the Adirondacks. Maybe yes, maybe no. 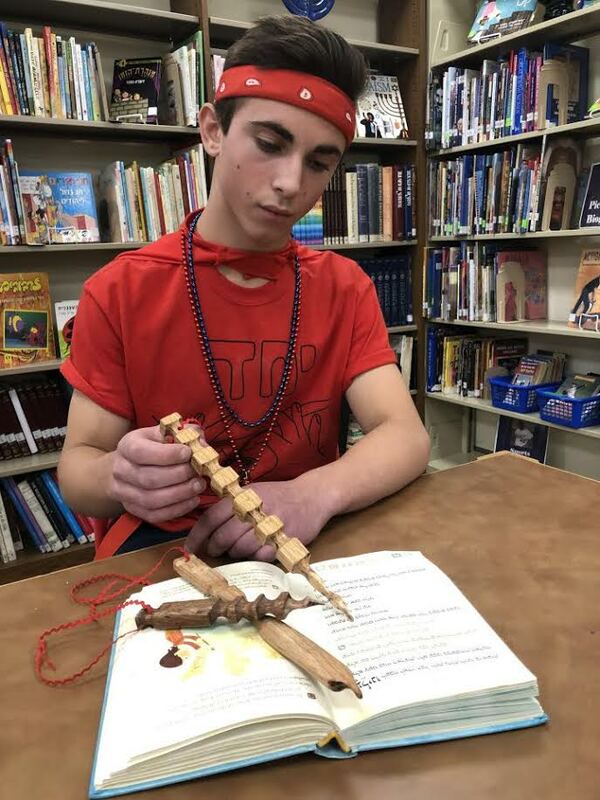 Either way, the students at Bi-Cultural Day School in Stamford poured all of their unbridled energy and spirit into the school’s 2019 Color War event for three days of competition and camaraderie – mostly camaraderie, given that this year’s Color War theme was “Yachad” (together). As part of Color War, each team is required to create something in Makerspace that will benefit the school. 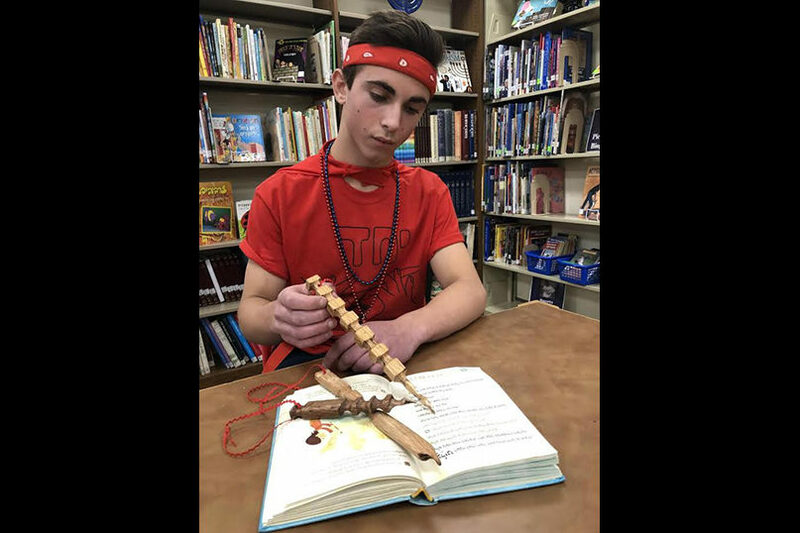 Pictured here: 8th-grader Joreh Mehl tries out one of the three wooden Torah pointers – called a “yad” or “hand” – that he created for BCHA services. 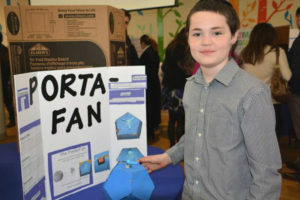 Fifth-graders at Bi-Cultural Hebrew Academy brought their bright ideas to life last month at the school’s Invention Convention. An annual event, the budding inventors took their ideas through the design process from conception to invention and implementation. A cross-curricular project, the project also tied into the 5th grade’s persuasive writing curriculum. Students then created a commercial for their invention using persuasive tactics studied in writing class. 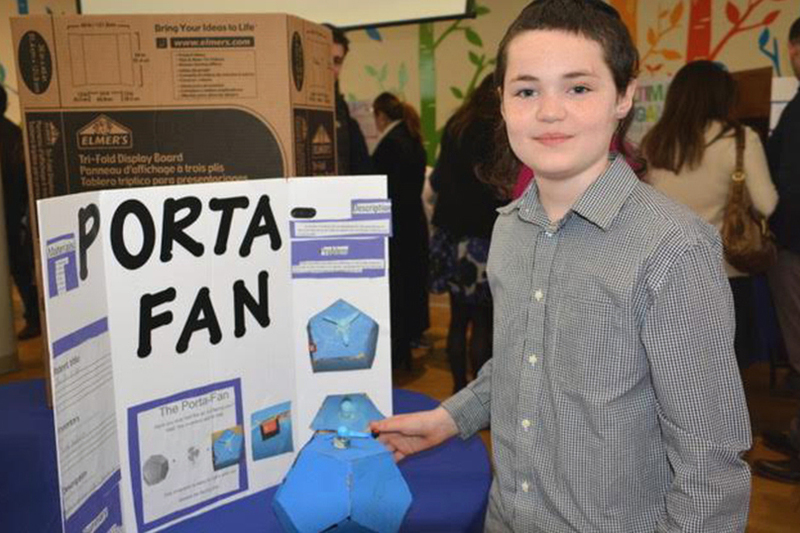 Pictured here: Yoav Hochman invented the Porta-Fan to help you keep cool when things get too hot.